The Chicago Tribune published an excellent investigative report on the quality of Illinois nursing homes. It is an unfortunate reality that many of our most vulnerable citizens, our senior citizens, are cared for in facilities that not only don't meet their residents' needs, but often are place where abuse and gross negligence occur. Contact an attorney. Illinois nursing homes have a duty to adhere to the Nursing Home Care Act and other state and federal rules. If you or a loved one have been injured due to the care received at a nursing home, contact Mike Keating of Keating Law Offices at MKeating@KeatingLegal.com or 312-208-7702.
Review the home's most recent annual inspection report, which must be posted at the facility. Also review previous inspection reports and complaint investigations. Facilities must make them available. Go to www.medicare.gov for nursing home rankings. See the "star ratings" from the Chicago Tribune. To check if a nursing home has been fined, go to www.idph.state.il.us and search for "nursing home violators." If care is poor, consult the home's director of nursing. Review the resident's care plan and doctor's orders. File complaints with the Illinois Department of Public Health, the home's ombudsman or, in cases of suspected abuse, the police. Keating Law Offices has a long history of success in representing nursing home residents who have been the victims of neglect while living in the very places meant to protect them. Please contact our attorneys today if you, or a family member, have been the victim of neglect or abuse in a nursing home. What Are The Signs Of Abuse And Neglect? • Failure to provide medical treatment and follow-up care to residents. However, this is just a short list of many common signs of neglect and abuse in a nursing home. If you have any questions, please do not hesitate to call the Nursing Home Abuse and Neglect attorneys at Keating Law Offices. All consultations are absolutely free and there is no obligation. Call to speak to an attorney today. Is The Nursing Home Responsible? Senior citizens and disabled persons who are residents of nursing homes are often among the most vulnerable in society. The rights of nursing home residents in the state of Illinois are protected under both state and federal laws. Any nursing home that fails to provide its residents with proper care may be liable. 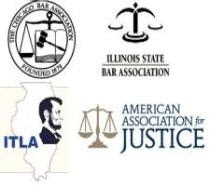 Under the Illinois Nursing Home Care Act, all nursing homes and other long-term care facilities are required by Illinois law to treat its residents with the level of care that a reasonably careful nursing home or facility would have used in the same situation. Any Illinois nursing home or long-term care facility that does something that harms its residents, or fails to do something to prevent harm to its residents, may face legal repercussions.